We are in the process of lowering our prices. Compare our prices with any retail store or online site and you will be pleasantly surprised at what you see here. 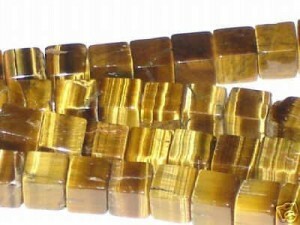 Check out our line of Chinese Crystal. New items have been added. We now carry 4, 6, 8, 10, and 12mm faceted round beads. Also you’ll find bi-cone in these sizes. The cubes are arised (rounded on the corners). Although we have yet to put them up, our rondells are beautifully made and are faceted as well. Check back soon. We carry a huge variety of semi-precious gemstones in many sizes from 4mm to 50mm, and shapes – trapezoids, ovals and faceted. Looking for a large green bead? Check out our 35mm round Russian Jasper (also known as Lizardskin Jasper) found under the “Gemstone” Catagory. As well we carry many polished stones suitable for jewelery making such as botswana and poppy jasper. We carry supplies such as pliers and hemp cord, leather cord, rattail and elastic cord. Our catalogue is currently under construction, so please check back often for our full line of beads. We are adding items daily and hope to complete the catalogue soon. There are over 500 more items coming. The quality of our products are all Grade A, except when noted. Our prices are superb because we import our merchandise directly from the Orient.